Let’s say you’re going to a cookout, barbecue, potluck, or summer picnic this weekend. Let’s say you could really go for something like a cold chicken salad sandwich, but don’t want to opt for a hastily-made rendition like at the supermarket deli or something you might whip up from frozen chicken cutlets chopped and tossed with mayo. No, let’s say you want something savory and exciting, even if this sounds contradictory to what “chicken salad” generally means to you as a food item. You want to eat something tasty, but don’t think that you have the time to. Get a whole chicken. Roast it and chop it to toss with any combination of additions and flavorings. 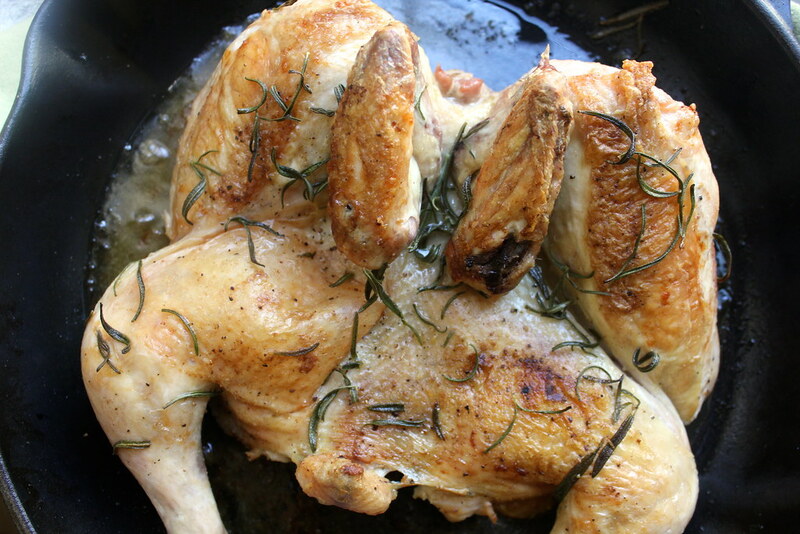 Because roasting it as a whole chicken, even the day of the picnic, is not too difficult to endure, and you can end up with tasty add-ins from the process. Like chicken fat aioli. I threw a picnic last weekend, in Prospect Park. It was one of the first weekends of summer, when it was not warm enough to get scorched by the sun and not late enough to get eaten by mosquitoes. That’s when picnics on the lawn are a good idea, so long as it’s not raining. Well, it rained and rained for three days prior to this one, but the day of the picnic, the skies were clear and shining and the ground only slightly damp, so that plastic yard bags placed underneath blankets on the grass provided easy wetness protection. (They were also re-used as trash bags for picnic scraps when it came time to de-camp.) I like grilling on warm summer nights, but I also like cool salads and packed-ahead sandwiches for crisp spring picnics, too. I’m fortunate to have so many friends who do as well. Thanks to them, there were pies and brownies, chips and salsas, deviled eggs, triangle-cut tea sandwiches, cold pasta and noodle salads, and something very interesting involving a whole watermelon that was hollowed out as a punch bowl. There were old pals, current flames, and new friends formed — and one of these new friends happened to be Julia Sherman, a photographer and creator of Salad For President, the blog. She documented the picnic on her blog, from the pre-cooking and watermelon shopping to schlepping over and spreading out on the grass. It’s a lasting, and lovely relic of the event in photos. The plan was to keep it simple: food that could be thrown together on the spot and keep fairly well without heat. 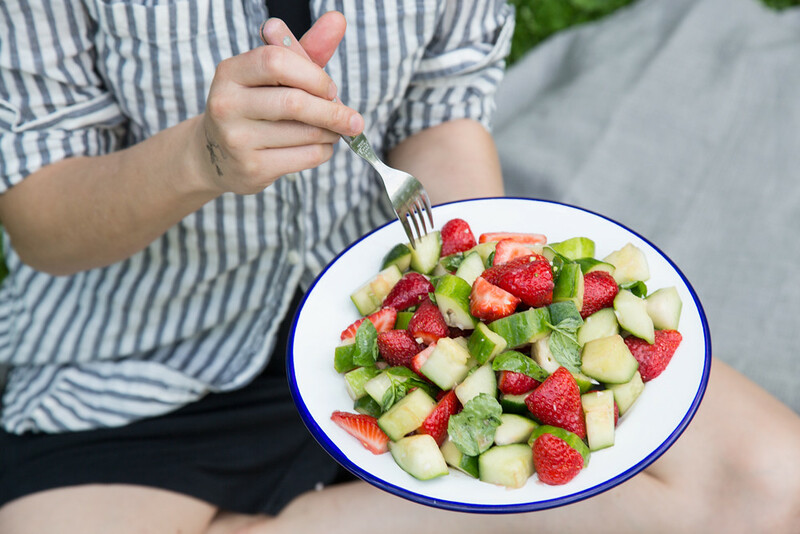 Since strawberries were just in season, I made a strawberry and cucumber salad with just a bit of chopped shallots and (homemade) red wine vinegar. 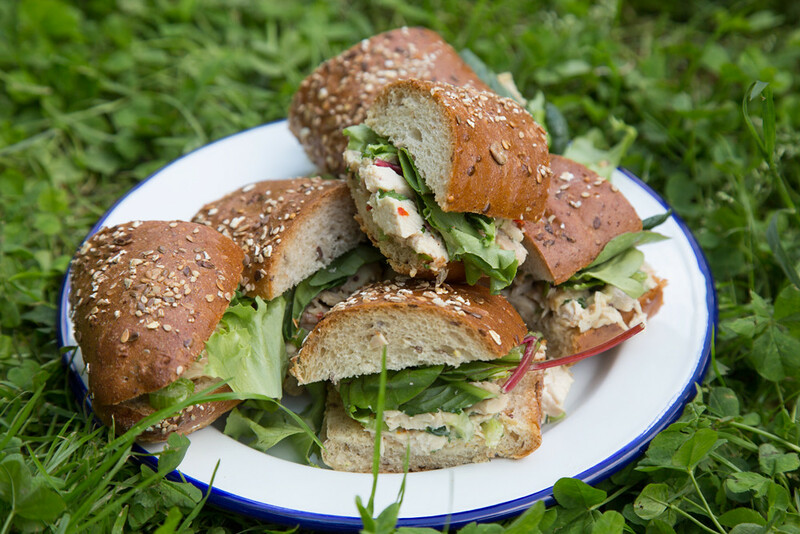 The chicken salad would be slathered into baguettes for mini sandwiches. To speed up the roasting process and ensure that the chicken got a good, golden crust, I seared the chicken in a cast-iron pan before transferring it to an oven to cook through. But before this step, I split the chicken down the center of the breast. 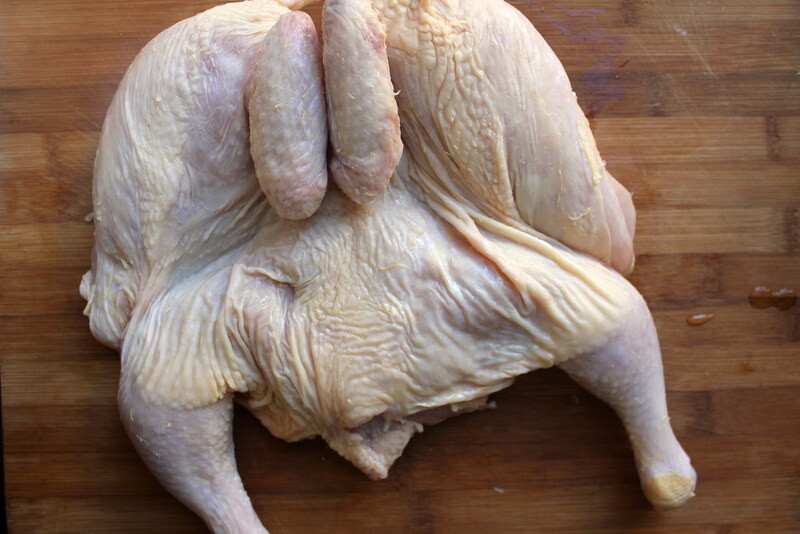 It’s an easy trick that leaves you with a splayed-out blanket of chicken, rather than a hollow sphere of chicken. You can use kitchen scissors or a sharp knife to split it open. But there was a delicious pool of brown pan juices on the cast-iron pan once the chicken was seared, flipped over, and roasted through. I reserved these drippings, and instead of creating a gravy with it, made a little chicken fat aioli to add to the salad. Since there was only about half a cup of this chicken fat and juices, I ended up adding mayonnaise to the chicken salad dressing, as well as a few dabs of whole-grain mustard. But you can taste the savory, roasted chicken flavor throughout this sauce. Tossed with the cooked and chopped chicken, it was a gravy of a more refreshing, summer-appropriate sort. The rest of the ingredients in this chicken salad were largely improvised: a smattering of fresh herbs from the windowsill, sundried tomatoes that happened to be on hand, scallions, and compulsory chopped celery bits for crunch. The result was a colorful confetti of sandwich stuffins’ to bring to the picnic and assemble there. 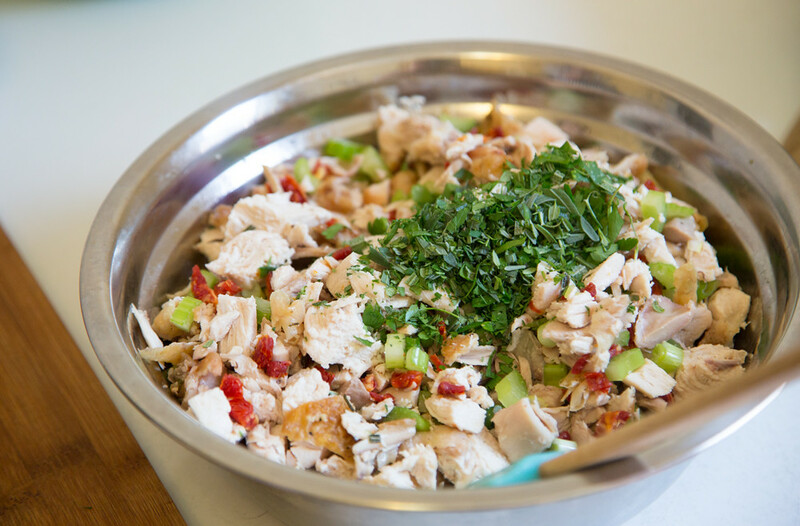 What are your favorite additions to chicken salad? There’s so many ways you can toss it together. The first part of this recipe works for a quickly roasted chicken just to serve as is; use the pan drippings as a simple jus and perhaps squeeze a fresh lemon all over the roasted entree. Any leftovers are perfect to make chicken salad with the next day. The picked-at roasted chicken carcass can be used to make stock with. All told, you’ll get a lot of use from one whole, quickly roasted chicken, fat included. 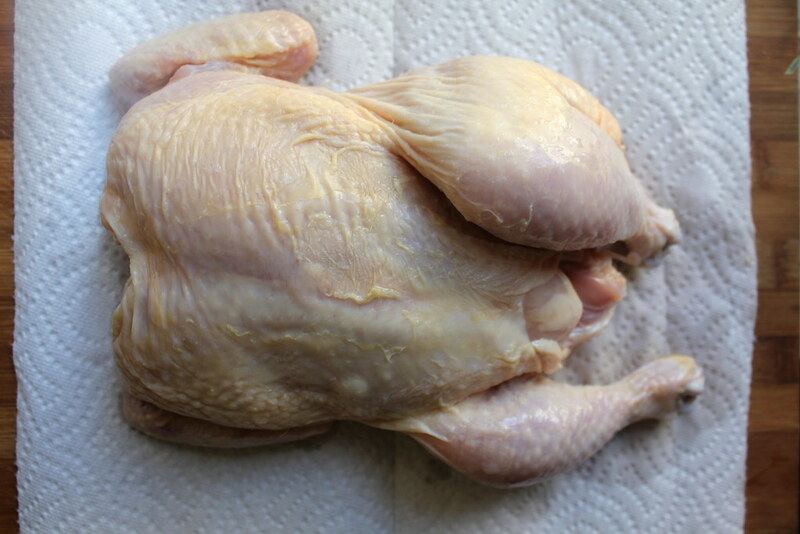 Rinse chicken and pat dry with paper towels. Using kitchen scissors or a sharp knife, split the chicken by cutting straight through the center of the breast vertically. Splay the chicken open and season both sides generously with salt and pepper. Preheat a large cast-iron pan (at least 9” in diameter) with the tablespoon of oil over medium-high heat. Preheat the oven to 400 degrees. 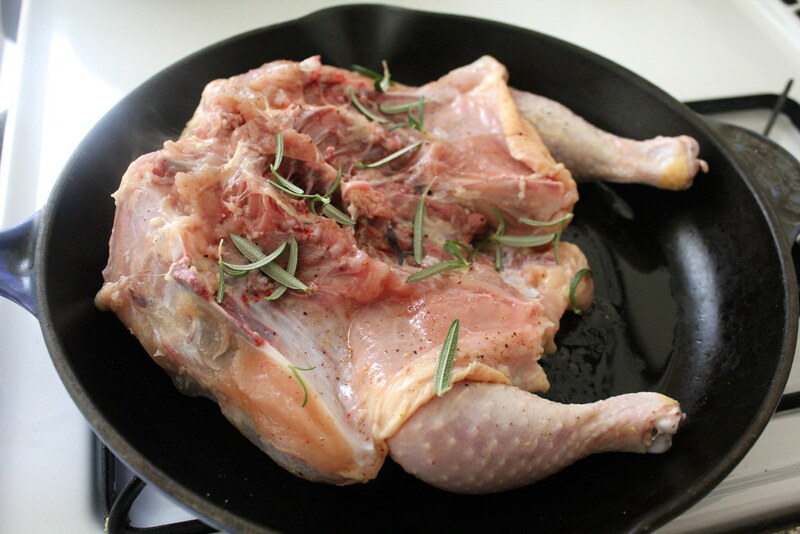 Once the pan is hot, place the chicken skin side-down on the pan. Let cook without turning or moving the chicken about 5 minutes, or until the underside is golden-brown when peeking with tongs. Flip the chicken over carefully with tongs. Transfer the cast-iron pan to the oven and cook for 10 minutes. Reduce heat to 375 degrees and cook for another 30-40 minutes, or until the internal temperature of the chicken reads 170 when a thermometer is placed in between the thigh and leg. Lift chicken with tongs, letting any excess juices drip onto the pan, and transfer to a bowl. Let cool a few minutes, then transfer to the refrigerator to cool completely, at least 1 hour. Scrape any browned bits from the bottom of the pan with a spatula. 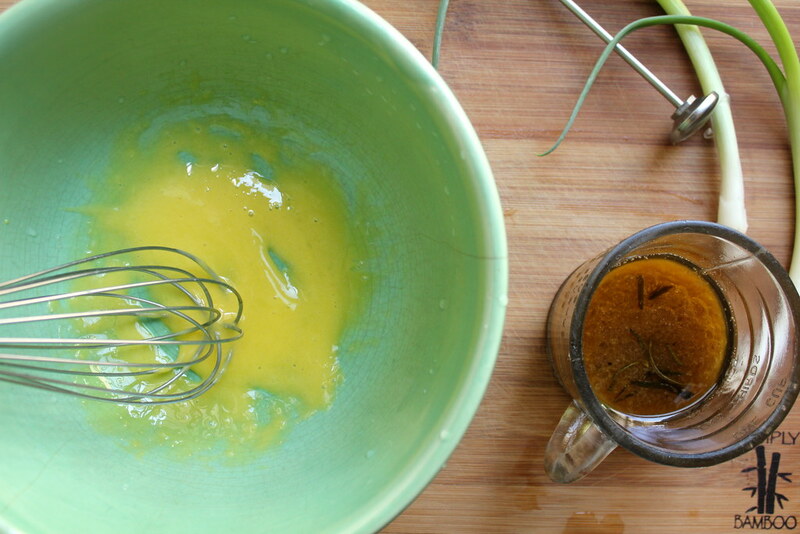 Pour the pan drippings into a small bowl and whisk. Set aside and let cool to room temperature. In another bowl, place the egg yolk, separated from its white entirely. Whisk in the grated garlic and lemon juice. While whisking rapidly, slowly pour in a few drops of the chicken pan drippings. Continue whisking and slowly drizzle in the remaining chicken fat. Mixture should appear light in color and slightly thickened. 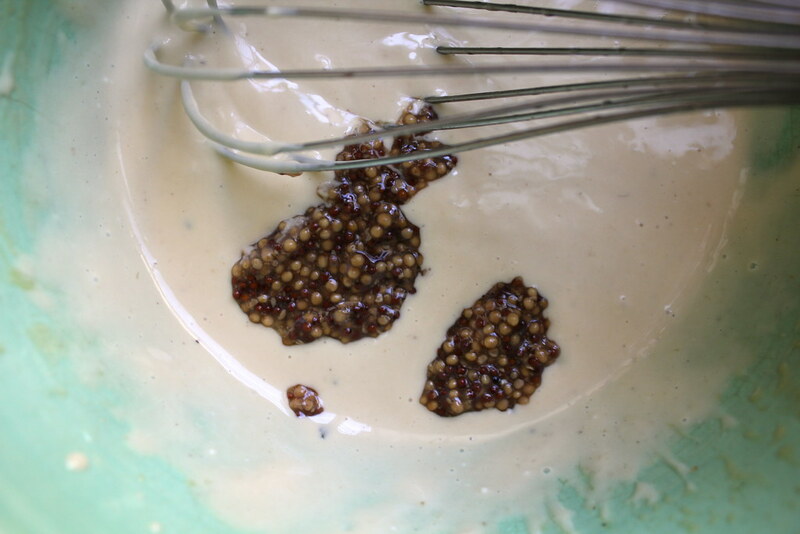 Whisk in the mustard and mayonnaise, and add salt and pepper to taste. Cover and chill while preparing the rest of the ingredients. Pick the meat (and skin if you like) from the cooled chicken and coarsely chop. Combine with the chopped celery, scallion, optional sundried tomatoes and fresh herbs. Stir in the chicken fat aioli until thoroughly incorporated. Season with salt and pepper to taste. Can be kept refrigerated up to 1 day before serving. 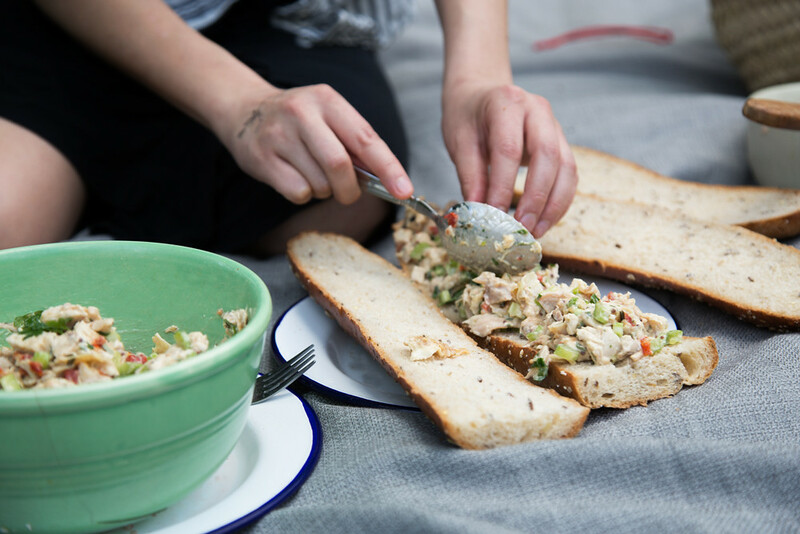 To assemble the sandwiches, spread the chicken salad onto the halved baguettes and top with the lettuces. Place the opposite half of the baguette on top and cut horizontally into 6 sandwiches. Seven brownie points: This is not a light (or “lite”) type of chicken salad, but a creamy-dressed, full-flavored one with the word “fat” in its name. But you’re not eating the whole chicken; you’re eating a small scoop at most of the chicken salad, which incorporates some healthy fresh herbs, celery and lettuce, in a small, snack-sized sandwich. It’s the perfect few bites to allow room to try everything else on the picnic spread. Plus, making your own chicken stock, gravy, jus or drippings-laced aioli spares you from purchasing additive and preservative-laden processed types in the store. 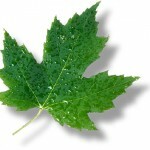 Seven maple leaves: Here’s to using all parts of the chicken, from skin to bone. It’s not only economical (and tasty) for you, but spares waste. I also opted for a free-range organic chicken, which I believe just tastes better usually. When chicken is the highlight of the meal, why not use the best you can find? Buying whole chicken is also less expensive than boneless fillets or pieces, making this option more affordable–and fun. Thank you Cathy! It was lovely to cook together, I hope to do so again! love all the colors! delish! Great idea, and you spending $18.00 for 1 chicken? Holy cow, that’s expensive. I can get 2 here (Boise) for 1/2 that price. WOW. @Nancy: I know, fresh, free-range chickens can seem so exorbitant in price especially compared to conventional ones (or quartered pieces). But I think you can get so many uses out of them whole that it’s worth the price. Canned or boxed chicken stock can begone! Wow, marvelous log format! Howw long havee you been bkogging for? you make running a blog look easy. The overall glance of your site is great, let alne the content material!